No one can say that Palm hasn’t tried to reinvent itself, and you also can’t say that they haven’t given it the college try, but is it enough? Is it time for Palm to throw in the towel and call it a day, or does the company simply need to reinvent itself again? 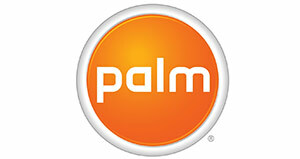 On Feb. 25th, Palm decided to release a statement about its earnings to get out ahead of its earnings report in March. It read more like an obituary of a once great company instead of your usual, “we rock”-type statement you get from a company. Revenues for the quarter and full year are being impacted by slower than expected consumer adoption of the company’s products that has resulted in lower than expected order volumes from carriers and the deferral of orders to future periods. Accordingly, Palm expects fiscal year 2010 revenues to be well below its previously forecasted range of $1.6 billion to $1.8 billion. This was brought about by the fact that the third quarter of fiscal year 2010 will see revenues between $285 million and $310 million, which is significantly less than the $425.4 million number that analysts had been predicting. In other words, things are not going well over at Palm. Is there any thing Palm can do to save themselves? We humbly put forth three suggestions. As for the Pixi, it just looks cheap. There’s something about it that makes me think, “Oh, how nice, a ‘smartphone’ I wouldn’t mind my non-existent teenage son carrying around because it looks like its made of cheap plastic.” Look at it down there to the right. They squished the keyboard together, making it look uncomfortable to use, but yet a large blank area above it for no obvious reason. 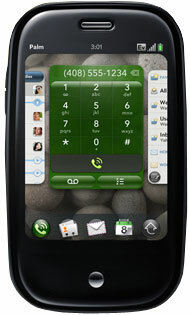 Palm needs to redesign the phones, and pronto. They simply aren’t appealing. And, true, a phone is about more than its physical looks, but what is the first thing you see? Despite the fact the iPhone OS is a completely controlled environment, app developers are easily able to port their apps from that OS to the Android OS fairly easily. 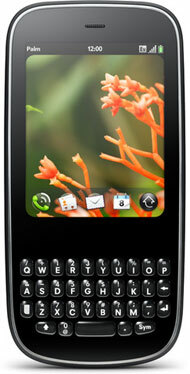 The same can’t be said for Palm’s webOS. Developers are frustrated with it because they have to rewrite their apps for a struggling system, and in turn that makes the Palm phones less attractive consumers because there aren’t as many apps. Palm needs to rewrite the software to make it friendlier, and then Palm needs to see about licensing it out to whomever wants to run with it. Let Motorola and HTC knock out a couple handsets with it, and you’d probably see your sales numbers and low market share numbers pick up. Yes, keeping complete control of an OS has worked for Apple, but you aren’t Apple. I challenge you to watch any Palm-produced ad for the Pre or Pixi and tell me anything more than “Well, it has features A, B, C and D.” The Palm ads are horrible, and although it looks like “the creepy girl” ads are gone, the ads are still pretty lackluster. During the Olympics, I finally saw an ad from Verizon for Palm phones that actually made them make sense. It talked about more memory, more speed, about them being used as a mobile hot spot, I actually felt like I learned something about these phones for once instead of just constantly going “… what the heck was that” when one of the other ads aired. What do you think? How could Palm turn this around? Or do you think it’s too late?